According to a recent report by The Citizen, a Togo-based bank, Ecobank, is preparing to enter the Tanzania banking sector, which is expected to increase competition within the sector. 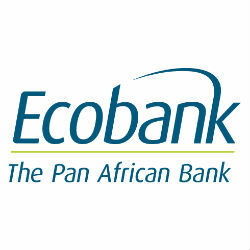 Ecobank currently operates out of 25 different African countries and is expected to open for operation next month, at the start of the new year. According to The Citizen, Ecobank controls an asset base of more than TZS 10 trillion, which is significantly more than any of the other banks that operate within the country. Nevertheless, The Citizen has indicated that experts in the banking sector have said that the arrival of the pan-African bank will not greatly impact the availability of banking services or the cost of borrowing within the country. Reports have also indicated that Tanzania hosted 25 commercial banks by the end of last year, the majority of which served the citizens of major towns and charged interest rates as high as 25 percent. According to Honest Ngowi, a researcher and consultant, based East African standards, the number of Tanzanians who had a bank account as well those who conducted their transactions through banks was very low. The Citizen report went on to cite that fewer than 10 percent of the country’s population currently has access to some form of formal financial services. Salum Shamte, the chairman of the Agriculture Council of Tanzania, is reported as having said that the country’s high interest rates represent one of the country’s biggest obstacles to its faster economic growth. According to the report, Mr. Shamte believes that if the problem is not corrected soon, the country will not be able to achieve the economic growth that is required in order to overcome poverty. The Citizen went on to cite Dr. Charles Kimei, the managing director of CRDB Bank, who has recently been quoted urging other banks to reduce their borrowing charges as it is possible to do so in the current monetary landscape. Dr. Kimei has reportedly said that in spite of the risks that still exist in today’s market, the central bank has been able to overcome the double-digit interest rates on government papers and reduced them from 20 percent to nearly five percent. Earlier this week, Tony Okpanachi, the head of Ecobank’s operations in the region, which based out of Kenya, said that the company’s purpose in expanding its operations to Tanzania was in-line with its long-term strategy to tap in to the lucrative East African market and beyond. According to Mr. Okpanachi, the bank’s vision is to leave its mark on 44 African countries. Mr. Okpanachi went on to say that, as advised by the Central Bank of Africa, Ecobank is currently working on modalities that will help it to lower its lending rates.